Growing plants in space is an important area of research – especially as we need to explore how we might be able to grow food on planets such as Mars. 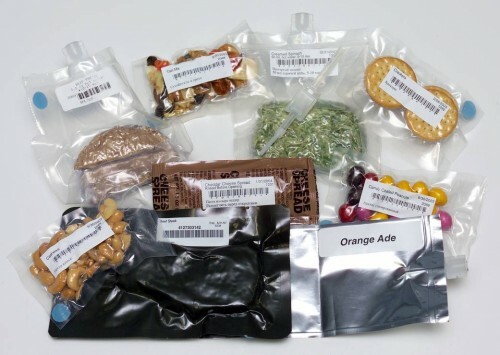 At the moment, astronauts eat food sent from Earth in packages like in this picture. 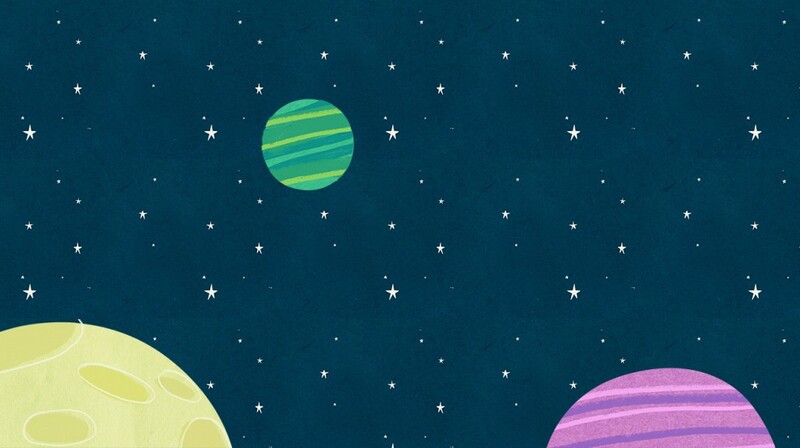 If we want to spend more time in space, however, it will be much nicer to grow our own food! A team of European Space Agency (ESA) scientists has created a list of the top 10 plants to grow in space. Soybeans are amazingly rich in protein and oil, and can be made into products such as soy sauce, while the immature pods are eaten as edamame. Dried soya can be found in many other foods and drinks, as well as essential products from paper to adhesives. 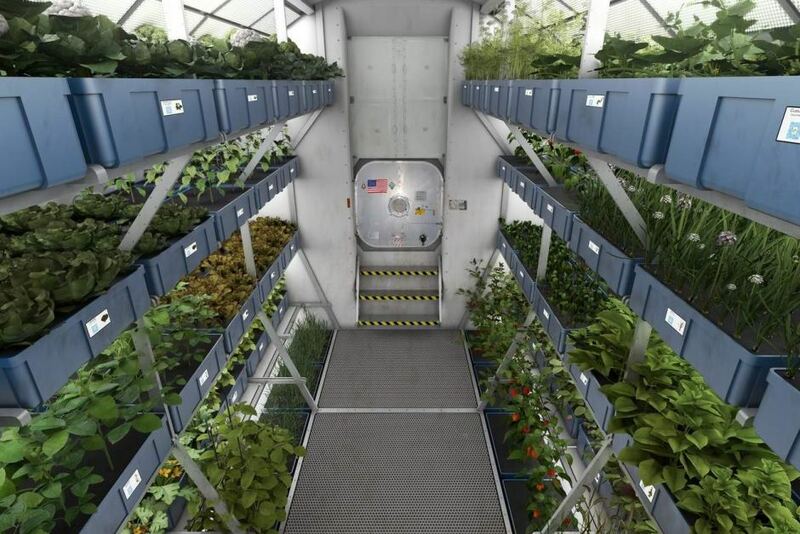 After processing, the oil from the seeds can also be used as a diesel fuel – what a useful plant to grow in space! Humble they may be, but few crops produce as much food per square metre. Although mostly carbohydrate, they contain high-quality protein and useful amounts of vitamin C. Older varieties are often robust, water-efficient and high yielding, if not so easy on the eye. Rice feeds nearly half of humanity, and it would be unthinkable to leave this behind. Paddy rice (grown in water-filled paddy fields) might be tricky in space, so perhaps the much less important dry land rice (grown in dry soils) would be the interplanetary choice. Used to make many of the staples of our diet, from bread and pasta to couscous. Tomatoes are a must. Imagine life without this tasty, vitamin rich succulent fruit. It can be eaten raw or used in cooking. Spinach is quick-growing, can be eaten raw or rapidly cooked, and its sharp flavour would be especially welcome on long voyages. Astronauts would be wise not to gorge, however, as the oxalic acid it contains can limit dietary uptake of calcium. Quick and easy to grow, lettuce produces limited waste and is refreshing, an important point for travellers confined to their spacecraft for long periods. Lettuce was originally grown for its oil rich seeds and these too might be valuable in space. In August 2015, a few months before Tim Peake’s mission, Scott Kelly and the other astronauts aboard the ISS ate the very first lettuce grown in space. The red romaine lettuce was grown in the ISS’s Veggie plant growth system. After harvesting the lettuce and tasting it, the astronauts dressing it with olive oil and balsamic vinegar. You can watch them enjoying it here. Beetroot is a sweet, tasty and nutritious root crop, and its leaves make a filling, robust spinach-like vegetable. In theory, sugar beet would be a heavier yielding crop, but it is of little use in space since there are no processing factories. Lengthy missions would be dull indeed without these sweet, nutritious, flavour-enhancing vegetables. They also have an analeptic (stimulating) effect on the central nervous system, helping to keep astronauts alert. Onions like a hotter, sunnier climate, so varieties that perform well in Britain should grow anywhere. Not very appetising but in the worst-case scenario, space explorers would be able to survive on this green micro-alga. Harvested from the ocean, it is protein rich and efficient at producing oxygen from carbon dioxide breathed out by the crew. 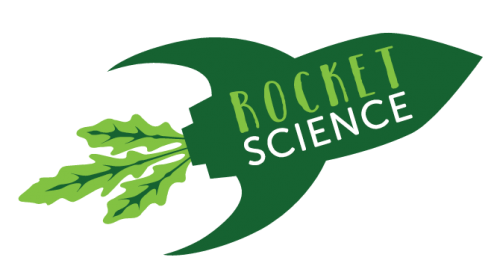 Find out more about plants being grown in space through the Royal Horticultural Society’s Rocket Science project: rhs.org.uk/schoolgardening or #RocketScience.